English is not Mathematics or any other subject where examiners score you based on your points, regardless of your grammatical blunders. English comprises your points, good use of language and orderly presentation of materials. Therefore, it is important you know how these examination bodies mark your English Essays in order to be conscious of your writing pattern and language use. First, you should know that your essay should not be less than 450 words, so you should always take note of the instructions usually given by WAEC/NECO/NABTEB at the beginning of the essay section. 1. For each essay, “content” has a maximum of 10 marks. 2. “Content” refers to relevance of ideas to the topic and its specific audience and purpose. It also refers to the appropriateness of the language and relevance to the central theme and its development. The adequacy of treatment of the subject matter is important, and there must be some originality in approach. A reproduction of knowledge from another subject like Biology or Economics not original to the writer will lead to reduction of marks. Above all, any deliberate distortion of ideas will be penalized, e.g., writing a letter to an editor instead of an article, will be punished. Engaging in an irrelevant topic to the question set will lead to being awarded zero marks. Where the composition appears to be totally irrelevant, the scripts will be referred to the Chief Examiner. Sometimes, many candidates hastily choose a topic they do not understand. Consequently, the topic is frequently misinterpreted, distorted or abandoned half way for lack of acceptable material, e.g., a candidate who was asked to write on an incident but who wrote on an accident will lose marks for irrelevancy if the question has no relevance to an incident. 3. An unusual and unexpected approach will, however, not be rejected without careful consideration. 4. For each essay, “organization” has a maximum of 10 marks. 5.“Organization” refers to the correct use of formal features such as good paragraphing, appropriate use of emphasis and arrangement of ideas. Paragraphs are expected to be chronologically, spatially and logically coherent. 6.What examiners look for include a suitable opening, adequate development into paragraphs, links between paragraph, balance, unity, coherence, and a suitable conclusion. For example, in a letter, all features must be present. Absence of necessary feature or wrong use will be penalized. Paragraphs are expected to be effectively linked for a good score. The usual problem here is inadequate preparation. Many answers lack paragraph development, or logical slanting. Again, single-sentence paragraphs are usually common. At the extreme, some essays have one or two paragraphs. 7. For each essay, “expression” has a maximum of 20 marks. 8. Expression refers to vocabulary chosen, which should reflect the general audience, atmosphere or format of composition, e.g., vocabulary for an informal letter. Vocabulary must also be controlled and the sentences structured. 9. An example of the distinction being made about vocabulary is the language expectations for an article in a school magazine, which should be a story telling experience, or for expressing a personal opinion. On the other hand, the language in an article for publication is expected to be formal. 10. Sentences of informal letters can be long while those for formal ones can be short. But incomplete sentences will be penalized. There is also room for emotional language in an informal letter. A judicious and imaginative use of figurative language is also allowed. Descriptive words to create a vivid picture of an incident are also allowed. 11.Examiners are not expected to be unduly influenced by mechanical errors in awarding marks for expressions, but this is perhaps the greatest problem to students. Many candidates suffer from a severely restricted vocabulary and inadequate exposure to idiomatic English. Many sentences are translations of the mother tongue, resulting in many un-English collocations. The real cause of the problem is the neglect of extensive reading. 13.Mechanical accuracy refers to Grammar, Punctuation and Spelling (GPS) rules to be complied with. Errors discovered will be penalized by examiners, and 1/2 mark deducted for each, up to a maximum of 10marks. 14. 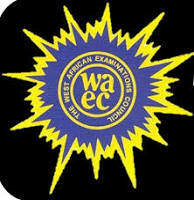 Candidates are expected to use skillful and sophisticated ways of punctuations and should avoid being “caught” by examiners, especially on errors indicated by WAEC in its yearly Chief Examiners’ Reports. 15. Examiners will mark on the principle of positive marking, that is, credit will be awarded for what is done correctly, and penalty will be given for errors and blemishes. Penalties are not in all cases numerical deductions, but the award of a mark lesser than would have been awarded if there were no blemishes. 16. Once the examiner determines the length of about 450 words, he or she will rule the point. No errors are to count for mechanical accuracy after this point but will be underlined if found and taken into account in giving the mark for “expression”. 17. When a composition is short or below its required length, the maximum mark for M.A shall be proportionately reduced. This will be done before the examiner awards the overall mark for M.A. While there is no penalty against a long composition, generally, the length may count for either a reward or a penalty under CONTENT, ORGANIZATION and EXPRESSION. 18. If a candidate attempts more than one essay question, only the first one answered will be marked. No penalty shall be given for others.